Animated movies typically do really well at the box office. Parents are looking for ways to distract their children for an hour or two, and the cinema is a perfect place to kick back, relax, and watch colorful creatures prance around with surround sound. Parents want family friendly content, so production companies create that content for them. In return, parents buy tickets to those movies. It’s the circle of life (or at least that’s what one animated film taught me). Keep reading to find out which animated movies were the highest grossing of all time. This list is in reverse order, so we’re going to start with the 50th most profitable film and make our way to number one. 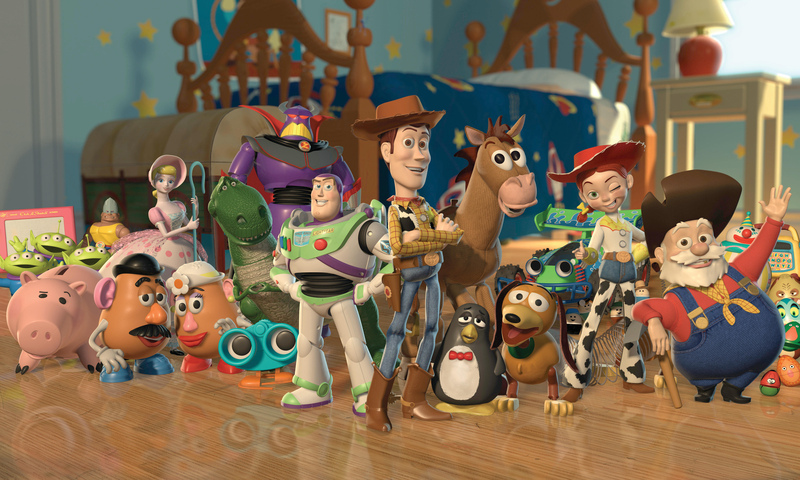 Four years after the original Toy Story came out, Walt Disney Pictures gave us Toy Story 2. In this movie, Woody meets Jessie, Bullseye, and Stinky Pete. He gets captured by a toy collector and his friends have to help him get back to Andy. This movie also features one of the most satisfying scenes in film history. I’m talking about the scene where the toy expert comes in to clean and restore Woody. Toy Story 2 made $497,366,869 at the box office. Rio 2 has a star-studded cast of voice actors including Jesse Eisenberg, Anne Hathaway, will.i.am, George Lopez, Jamie Foxx, Tracey Morgan, and Leslie Mann. This film finds a way to subtly deal with cultural assimilation. Blu and Jewel and their children are happily living their city life until the feathered parents realize that their kids are starting to act like humans. This film came out in 2014, and since then it’s grossed $500,101,972. 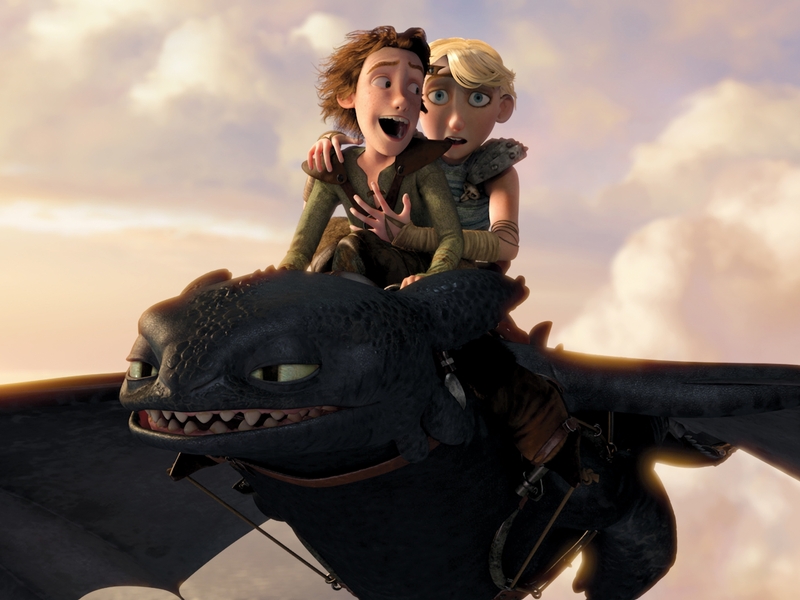 How to Train Your Dragon: The Hidden World came out in 2019 and it’s already making bank at the box office. This movie is the final installment in the How to Train Your Dragon trilogy. There are some pretty impressive actors who’ve been involved with these films including Jay Baruchel, America Ferrera, Cate Blanchett, and Craig Ferguson. How To Train Your Dragon: The Hidden World has already made $502,379,970 in ticket sales. There’s a reason why Disney is making a live-action remake of Aladdin. It’s because this movie made them so much money the first time around. 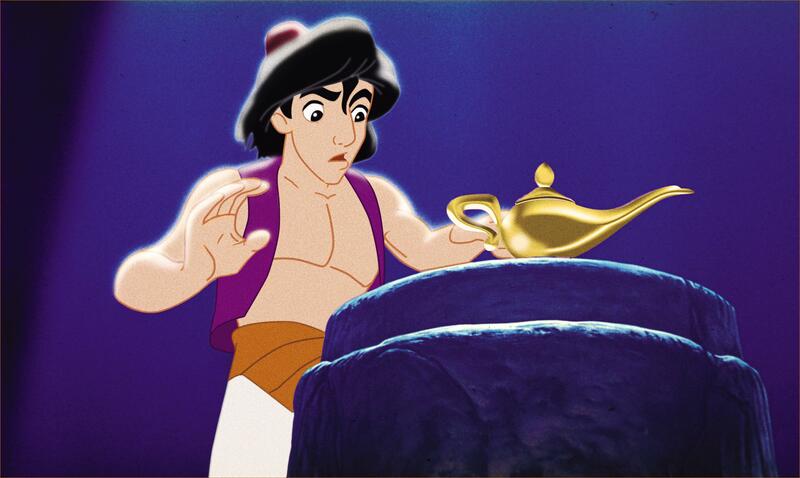 Aladdin is the story of a street rat who wants to be with a princess. He finds a magic lamp, releases a genie, and all of his dreams come true. Robin Williams provided the voice of the genie, and Gilbert Gottfried voiced a comically sinister parrot named Iago. This movie has brought in $504,050,219. Dr. Seuss’ The Grinch has been made into several movies, but only one of those movies became a top-grossing animated feature. In 2018, Illumination created The Grinch, a computer-animated film starring Benedict Cumberbatch, Rashida Jones, Kenan Thompson, Angela Lansbury, and Pharrell Williams. In the movie, The Grinch plans to ruin Christmas in Whoville by stealing all of the Christmas presents. Christmas movies usually do well and The Grinch is no exception. This movie made $511,303,509. Jack Black is at it again with Kung Fu Panda 3. In this Kung Fu Panda movie, Po enters the panda village and reunites with his father and other pandas. Po also learns how to become a master of chi. Other than Jack Black, this film also features the voices of Dustin Hoffman, Angelina Jolie, Lucy Liu, Seth Rogen, David Cross, James Hong, and Jackie Chan. Kung Fu Panda 3 made $521,170,825 at the box office. 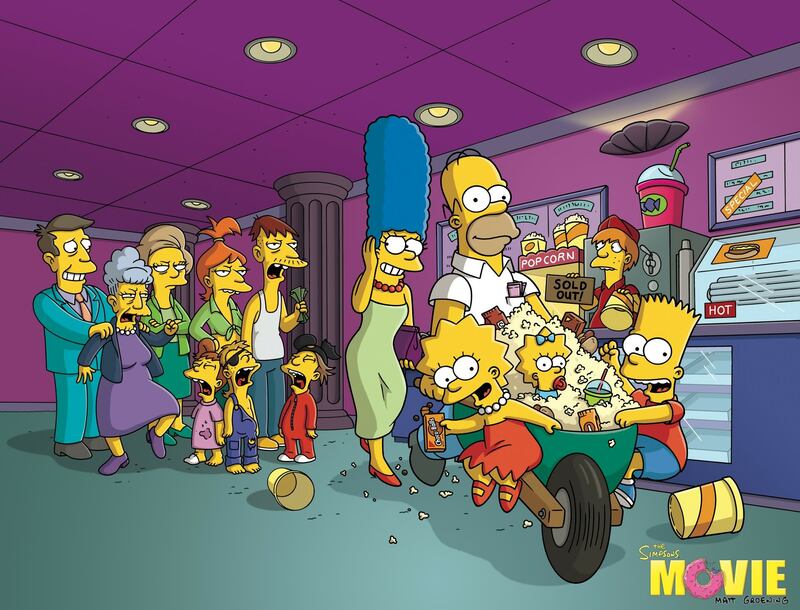 The Simpsons is the longest running show on television, so it only makes sense for there to be The Simpsons Movie. In 2007, it was about time. The film is basically like a long Simpsons episode. The entire town of Springfield gets placed under a dome, Homer gets a pig, and we get to see Bart naked. This movie made $527,071,022 at the box office mostly due to legions of loyal Simpsons fans. The Boss Baby is a computer-animated film about a secret agent baby that was released in 2017. Alec Baldwin voices the titular character, and supporting characters are voiced by Steve Buscemi, Jimmy Kimmel, Lisa Kudrow, and Tobey Maguire. The Boss Baby made $527,965,936 at the box office and it was nominated for both an Academy Award and a Golden Globe. It didn’t end up winning in the Best Animated Feature category though. Keep reading to find out which animated feature won those awards over The Boss Baby. Ralph Breaks the Internet is the sequel to Wreck-It Ralph. It features a lot of the voice actors from the first Wreck-It Ralph film including John C. Reilly, Sarah Silverman, Jack McBrayer, Jane Lynch, and Ed O’Neill. The sequel also introduces some new characters voiced by Gal Gadot, Taraji P. Henson, and Alfred Molina. The film has grossed $528,034,661 million worldwide. It looks like Wreck-It Ralph also broke the box office. 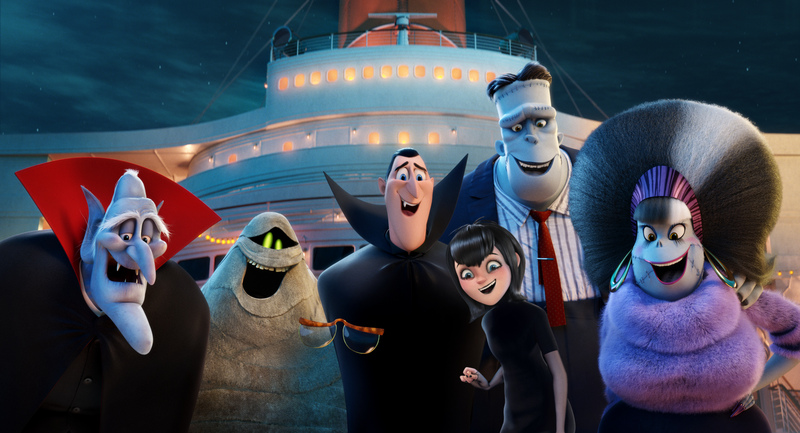 Hotel Transylvania 3: Summer Vacation is the third movie in the Hotel Transylvania series. It features voice work by Adam Sandler, Andy Samberg, Selena Gomez, Kevin James, David Spade, Steve Buscemi, Keegan-Michael Key, Molly Shannon, Fran Drescher, and Mel Brooks, who all lent their voices to the earlier Hotel Transylvania films. To date, this is the highest-grossing Hotel Transylvania film. There’s a new one in the works that’s set to come out in 2021. This film made $528,583,774. The Madagascar movie series has made DreamWorks a lot of money and it’s spawned a whole bunch of sequels (some of which appear later on this list). 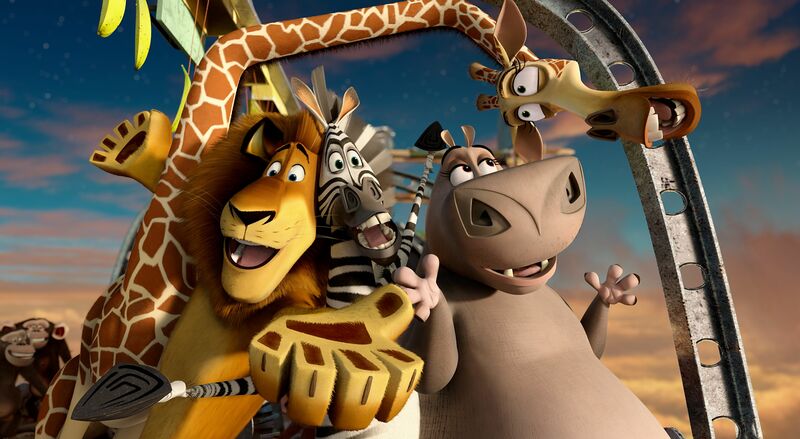 This first Madagascar film features the voices of Ben Stiller, Chris Rock, David Schwimmer, and Jada Pinkett Smith, with Sacha Baron Cohen, Cedric the Entertainer, and Andy Richter. 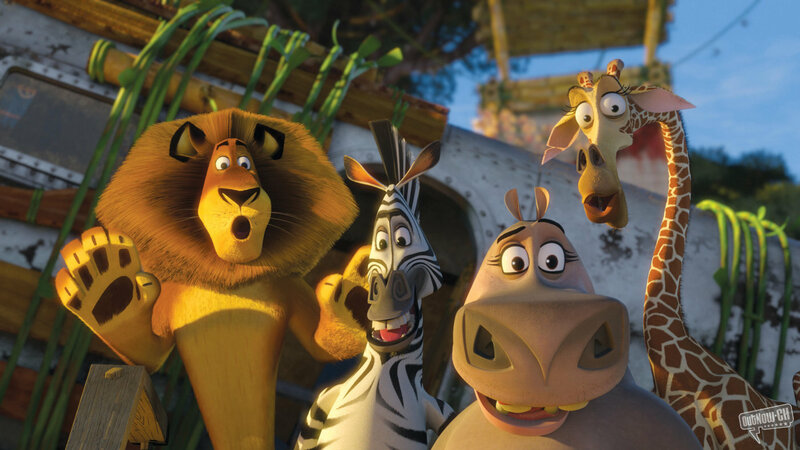 Madagascar made $532,680,671, which isn’t too bad for a film about zoo animals who find themselves in the wild. WALL-E is a little computer animated movie that came out in 2008. It stars the voices of Ben Burtt, Elissa Knight, Jeff Garlin, Fred Willard, John Ratzenberger, Kathy Najimy and Sigourney Weaver. 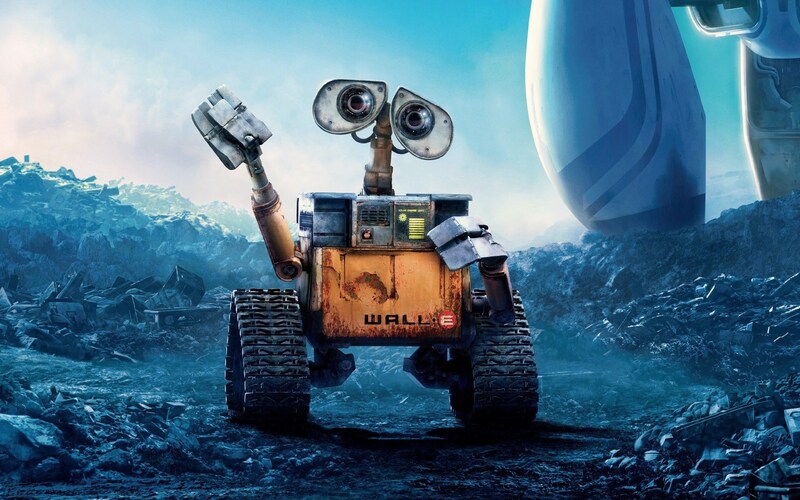 The film follows a little trash robot named WALL-E as he cleans up an uninhabited earth. Everything changes when he meets another, more advanced robot and falls in love. WALL-E made $533,281,433 at the box office, which was a big win for Disney and Pixar. Brave is a princess story for the modern era. It follows Merida, a fiery princess from Scotland who fights against tradition and asserts her right to marry whoever she chooses. The movie’s voice cast features Kelly Macdonald, Billy Connolly, Emma Thompson, Julie Walters, Robbie Coltrane, Kevin McKidd, and Craig Ferguson. Brave made Disney and Pixar $540,437,063 at the box office. It’s an impressive feat, and it makes Brave the 38th highest grossing animated film of all time. Despicable Me is the movie that introduced us to the minions, and what an introduction it was. These little yellow creatures completely took over the internet. Steve Carrell voiced Gru in this movie, the evil supervillain with a heart of gold. Despicable Me came out in 2010, and since then, it’s become something of a cartoon empire. This first film grossed $540,437,063. Some of the other movies from this franchise are also on this list. Keep reading to find out where the other Despicable movies place. 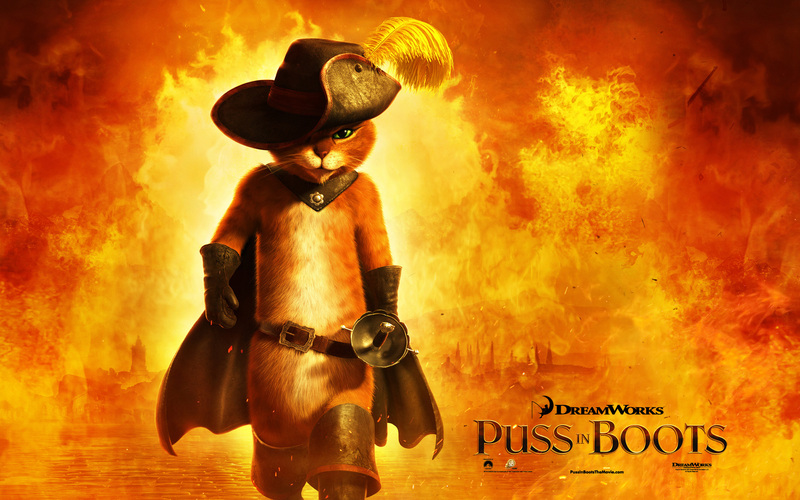 Puss in Boots made $554,987,477 at the box office, which might seem like a lot, but it’s actually the least out of all of the Shrek movies (except Shrek’s Christmas of course). You’ll see the rest of them pop up on this list at some point. 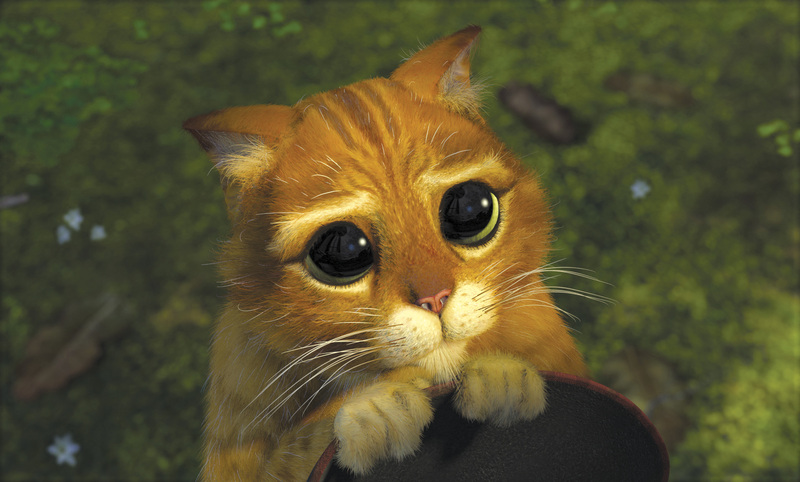 Antonio Banderas completely stole the show as Puss in Boots in Shrek 2. In 2011, our favorite feline got his own movie. Puss is a legend. The first Cars movie was so successful that Disney decided to make a sequel in 2011. What can I say? Kids love cars. The voice actors in this movie might have had something to do with its success. This film features the voices of Owen Wilson, Larry the Cable Guy, Michael Caine, Emily Mortimer, John Turturro, and Eddie Izzard. 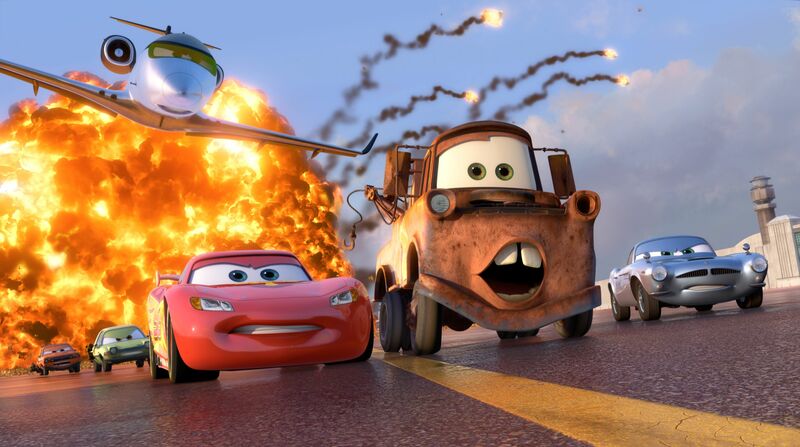 Cars 2 made $562,110,557 at the box office. That’s enough money to rev up a few engines. When Monsters Inc. came out in 2001, audiences flocked to the theatres. This movie concept was totally novel, it featured some stellar voice acting by Billy Crystal, John Goodman, and Steve Buscemi, and the music in this movie is phenomenal. The whole film is full of visual puns and frankly, we can’t get enough of it. I think this is some of the best work to come out of the collaboration between Disney and Pixar. Monsters Inc. made $577,425,734 worldwide. You might be surprised to learn that The Croods is the 32nd highest grossing animated film of all time. This 2013 animated movie features voice work from Nicolas Cage, Emma Stone, Ryan Reynolds, Catherine Keener, Clark Duke, Cloris Leechman, and Randy Thom. It’s a movie about a group of cavemen and the inventions they come up with. The Croods brought in a whopping $587,204,668 at the box office. Not too shabby for a bunch of neanderthals. Tangled is Disney’s take on the Rapunzel fairytale. Mandy Moore voices Rapunzel, a young girl who’s been locked away in a tower. Her hair has magical powers and she has a pet chameleon (because every good princess needs a pet). She’s whisked away by a handsome stranger named Flynn Ryder, and she finally gets the adventure she’d been longing for. The songs in this movie are also pretty great. 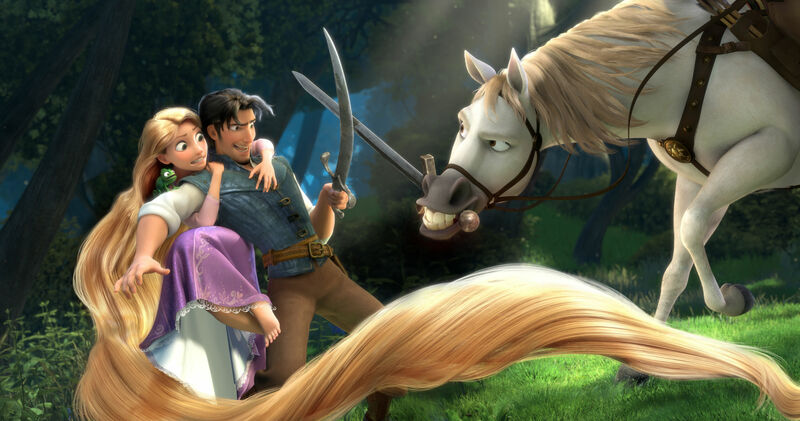 Tangled brought in $591,794,936 worldwide. The Madagascar franchise has only gotten more profitable with age. 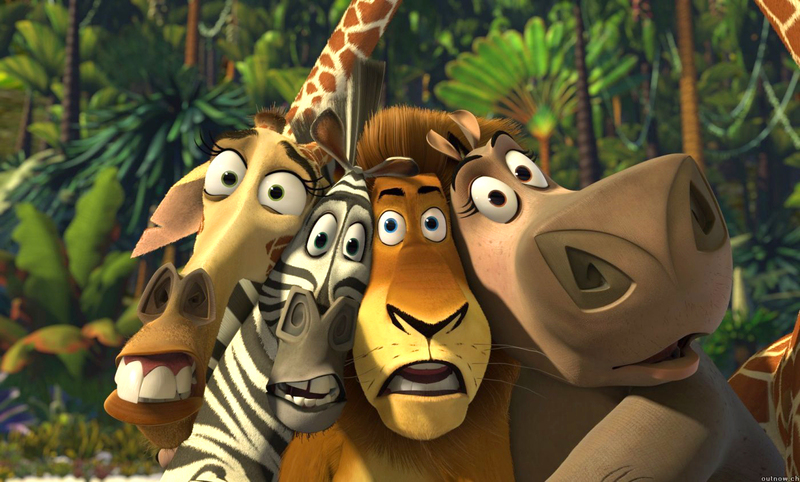 This sequel to the original Madagascar film came out in 2008 and it grossed $603,900,354 worldwide. People just can’t get enough of these creatures. The original cast all came back to reprise their roles, and they were joined by some new characters voiced by Bernie Mac, Alec Baldwin, Sherri Shepherd, and will.i.am. This movie has it all — tearful reunions, interspecies relationships, and of course, Motto Motto. 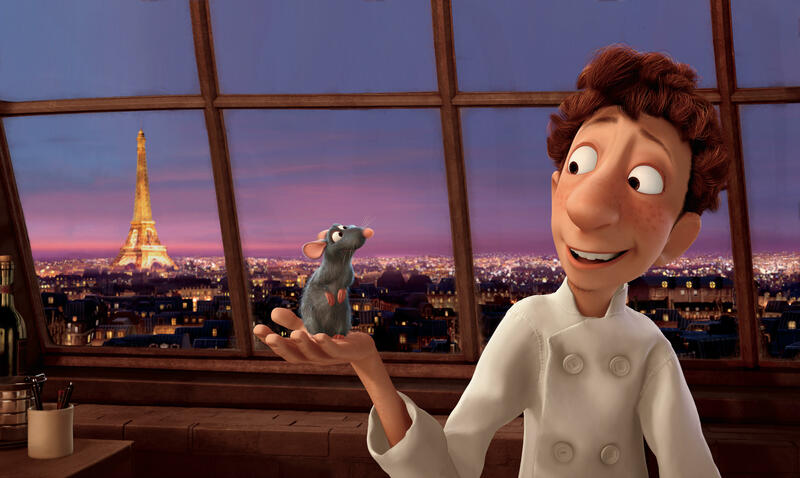 Walt Disney Studios outdid themselves with Ratatouille, the story of a rat named Remy who always wanted to be a chef. He finally gets a chance to cook at a fancy French restaurant with the help of a man who isn’t so good in the kitchen— at least not all by himself. This movie is a must-see for everybody who calls themselves a foodie. It grossed $620,702,951 worldwide. This little rat definitely made an impact. How to Train Your Dragon 2 is number 28 on our list of the top-grossing animated films of all time, which means that it did even better than the first How to Train Your Dragon movie. This film takes place five years after the first installment of the series. Hiccup is now 20 years old and it’s time for him to succeed his father as chieftain. Hiccup doesn’t know if he’s ready for all of that responsibility yet, though. Luckily he’s got his dragon, Toothless, by his side. This movie made $621,537,519 worldwide. Kung Fu Panda the original sits squarely between Kung Fu Panda 2 and Kung Fu Panda 3 on our list. That means that this franchise has seen some ups and downs, but it’s still consistently done well enough to rival some of the greatest animated features in history. 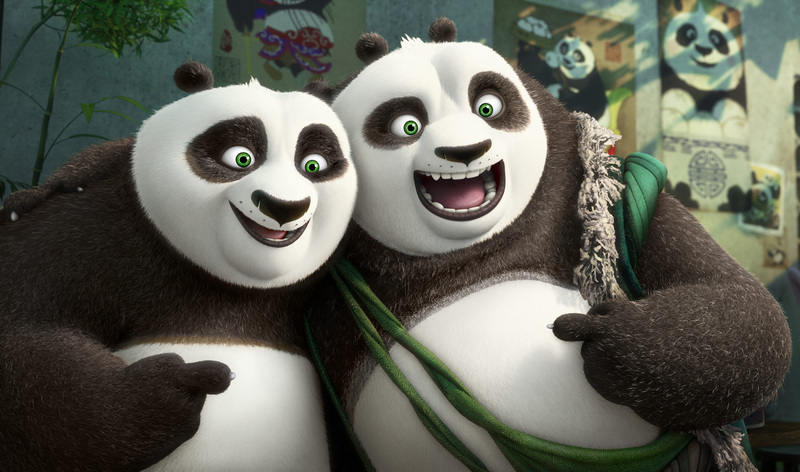 We first meet Po in this film, a young adopted panda who wants to pursue his dream of learning kung fu. This movie grossed $631,744,560. In 2004, Disney gave us The Incredibles, a movie about superheroes and family dynamics. Mr. Incredible had to go into hiding and live a regular life after the press gave superheroes a bad rap. When Syndrome rises to power, the whole family has to spring into action to save the day. This movie gave us that classic “where is my super suit” moment, and for that, we are forever grateful. The Incredibles grossed $633,019,734 in total. Who would have thought that a film about a bunch of anthropomorphic animals entering a singing competition would be one of the top-grossing animated films of all time? This movie is a must-see for anybody who was a theatre kid in high school— or anybody who’s a theatre kid now. 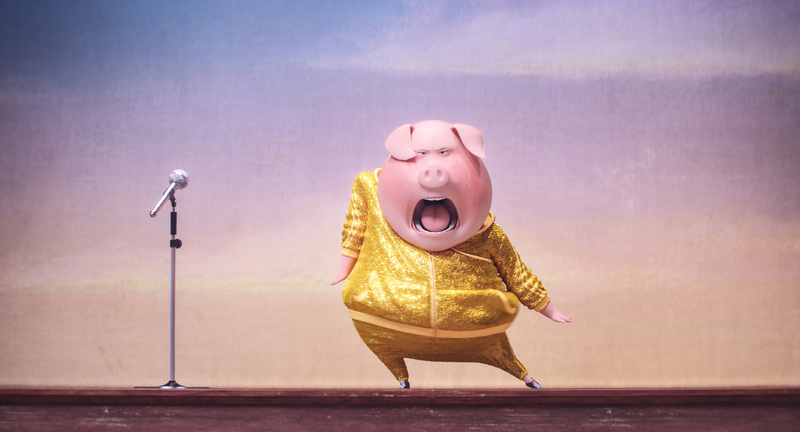 Check out this film if you like singing pigs (and let’s face it, who doesn’t?). Sing grossed $634,151,679 at the box office. It seems like Disney just keeps getting better and better at this money making thing. Moana came out in 2016 and it was immediately a smash hit. This movie is full of catchy songs, which we definitely expected given Lin Manuel Miranda’s involvement. The computer animation is at an expert level in this movie, and the film received two Academy Award nominations. Moana made a total of $643,331,111 at the box office. Big Hero 6 is a Disney animated film that came out in 2014. The story is loosely based on a superhero team featured in Marvel comic books. The story centers around Hiro Hamada, a young boy with a knack for robotics. He builds a team of robots to help stop an evil villain. The film features the voices of Scott Adsit, Ryan Potter, Daniel Henney, T.J. Miller, Jamie Chung, Damon Wayans Jr., Genesis Rodriguez, Alan Tudyk, James Cromwell, and Maya Rudolph. It brought in $657,818,612. Hold on to your winter coats, because the Ice Age movie series is about to totally take over this list. For some reason, kids can’t get enough of these prehistoric characters. Ice Age: The Meltdown, the second Ice Age movie, grossed $660,940,780 worldwide. 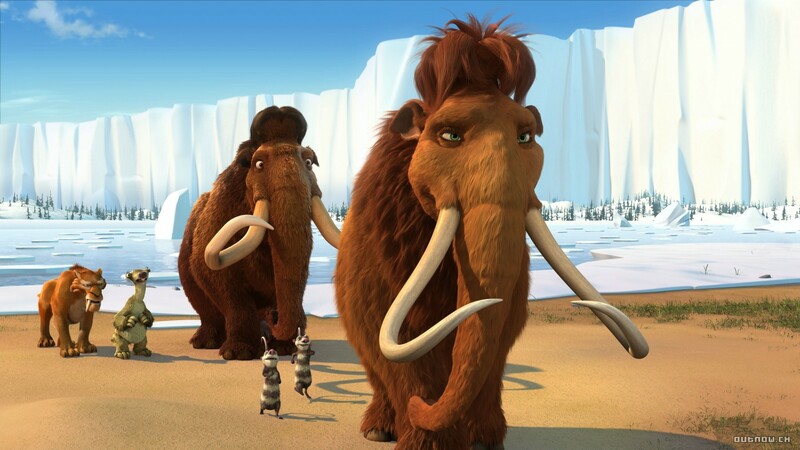 In this movie, the usual Ice Age cast is joined by the voice talents of Queen Latifah, Sean William Scott, and Josh Peck. Manny finally found a lady friend. Kung Fu Panda 2 is the highest grossing of all the Kung Fu Panda films. In this installment, Po is now known as the Dragon Warrior. He has learned the art of Kung Fu, but he hasn’t quite mastered it. He faces a new enemy and must unlock new skills to vanquish his foe. 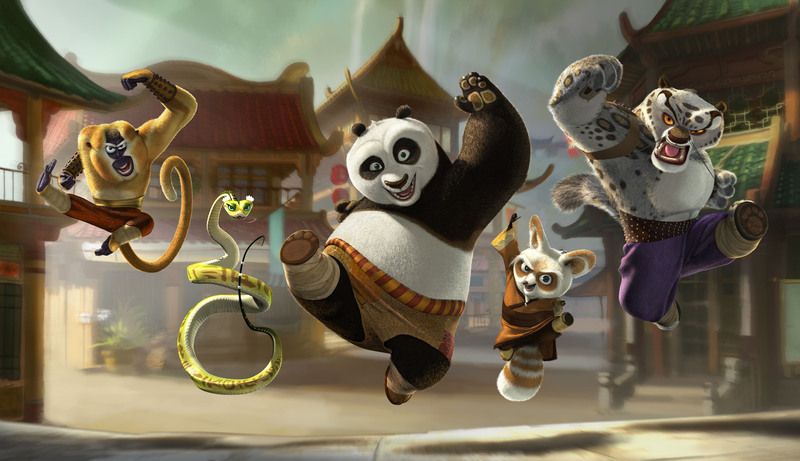 The original Kung Fu Panda voice cast is back, with new characters voiced by Gary Oldman, Michelle Yeoh, Danny McBride, Dennis Haysbert, Jean-Claude Van Damme and Victor Garbe. This film made $665,692,281. Anybody who says they didn’t cry during the opening sequence of Up is definitely lying. That scene is emotional gold. The rest of the movie is pretty average with some above average visuals, but nothing could stop Up from earning $735,099,082 worldwide. 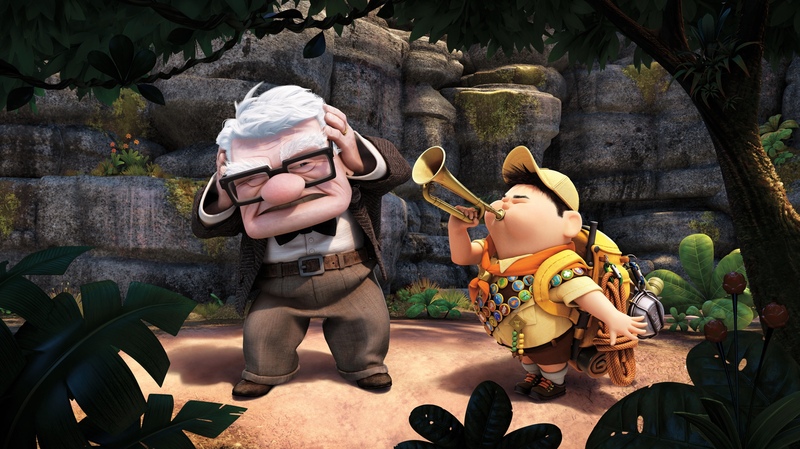 This story about a grumpy old man who reluctantly goes on an adventure with an eager boy scout captured the hearts of millions. Also Doug. Doug the dog had a lot to do with the success of this movie. 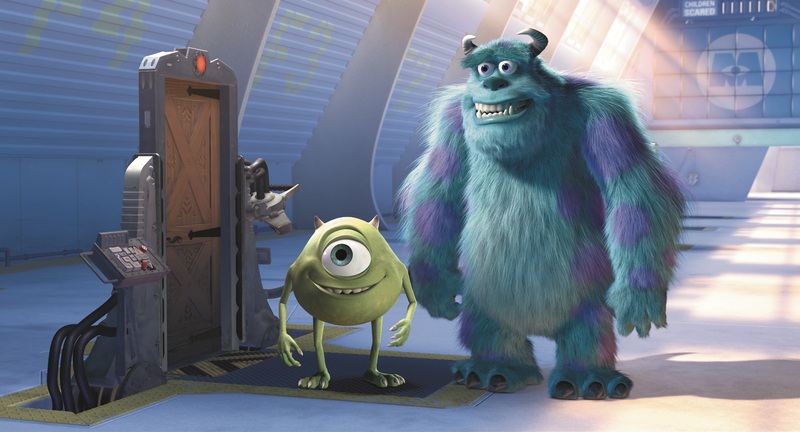 This long-awaited prequel to Monsters Inc. lets us in on how Mike and Sully met at Monsters University. It turns out, these two weren’t always friends. 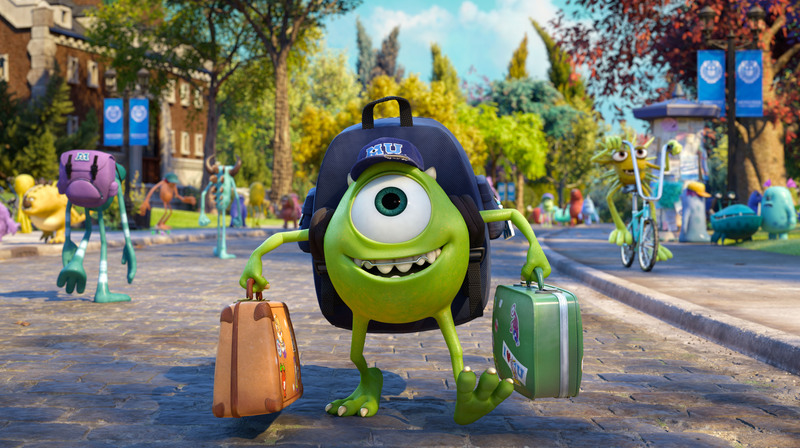 Isn’t it funny how Disney released a movie about university just when all the kids who loved the first Monsters Inc. movie were about to turn 18? That was definitely on purpose— and I think it’s part of the reason why Monsters University raked in $744,229,437. Madagascar 3: Europe’s Most Wanted is the highest grossing of all the Madagascar films. Gloria, Melman, Alex, and Marty are trying desperately to get home to New York City when they get caught up in some trouble— some French trouble. The run around Europe while being pursued by animal control, and then they end up briefly joining a circus. People must have loved all of those European chase scenes because this movie made $746,921,274. Ok, so this is the first official Shrek movie on this list. I’m not counting Puss and Boots as a Shrek movie. The Shrek films seemed to decline in popularity as time went on because Shrek Forever After, the fourth and final Shrek movie, didn’t make as much money as Shrek or Shrek 2. Still, this movie brought in a lot of cash for DreamWorks. It grossed a total of $752,600,867 worldwide. In Shrek the Third, Shrek and Fiona learn just how difficult parenting can be, especially when you’re parenting three baby ogres. Shrek the Third made slightly more money than Shrek Forever After, but not as much as Shrek 2. I guess people just can’t get enough of this irritable ogre. 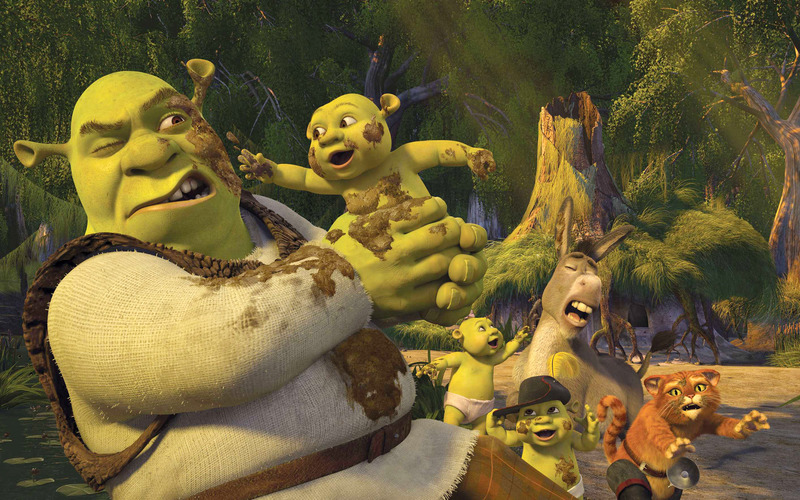 We all have a bit of a soft spot for Shrek. This film made $798,958,162 in total at the box office. 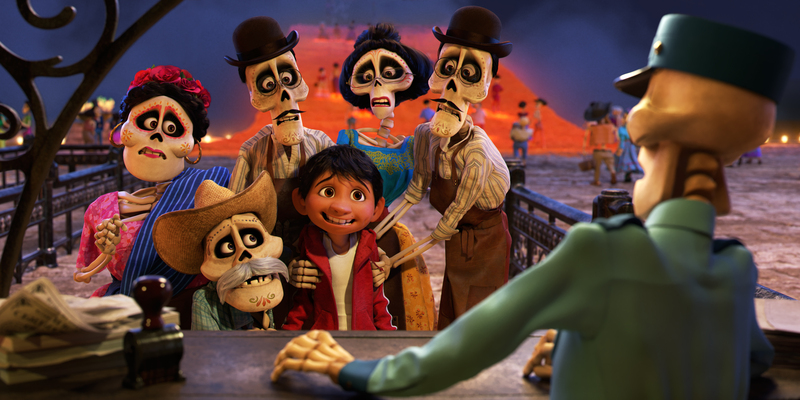 Coco is the movie that beat out The Boss Baby for that Best Animated Feature Academy Award. This movie follows a 12-year-old boy named Miguel who is transported from his home in Mexico to the Land of the Dead. While he’s there, he reverses his family’s ban on music with the help of his great-great-grandmother. Coco was a huge success. Both parents and children couldn’t get enough of it, and it made $807,082,196. 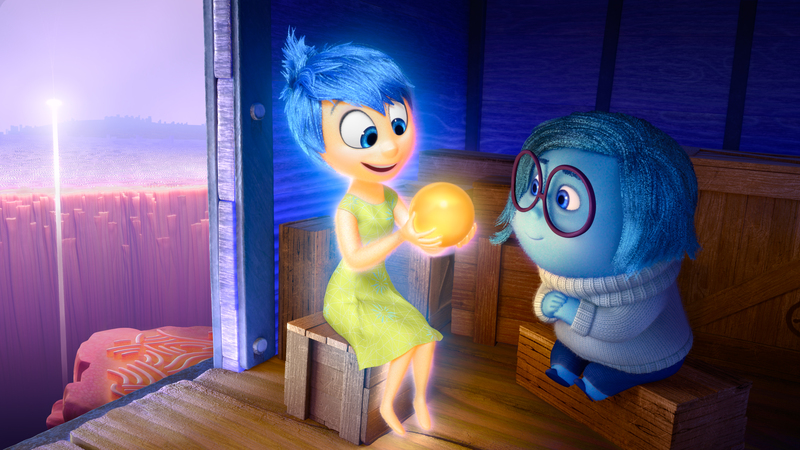 Inside Out provides us with a unique look at the way human beings process emotions. It shows us the human brain as we’ve never seen it before— as a bunch of anthropomorphized emotions who each control a different facet of our being. Both kids and parents fell in love with the poetry of this movie. Amy Poehler provides the voice of Joy, the being in a young girl’s mind that controls her happiness. This movie made $857,611,174. The Secret Life of Pets is an animated film that came out in 2016 about all the things that our pets get up to when we leave them home alone. The film features the voices of Louis C.K., Eric Stonestreet, Kevin Hart, Steve Coogan, Ellie Kemper, Bobby Moynihan, Lake Bell, Dana Carvey, Hannibal Buress, Jenny Slate, and Albert Brooks. The star-studded cast definitely helped this movie at the box office and it ended up making $875,457,937. Ice Age: Continental Drift is the fourth installment of the Ice Age movie series. All of the regular voice actors are back, plus we’ve added Keke Palmer, Nicki Minaj, Drake, Jennifer Lopez, Josh Gad, and Peter Dinklage voicing new characters. The plot focuses on Scrat sending Manny, Sid, and Diego adrift on an iceberg with Sid’s Granny. This leads to the crew facing a gang of pirates. This movie made $877,244,782, making it the top-grossing animated film of 2012. 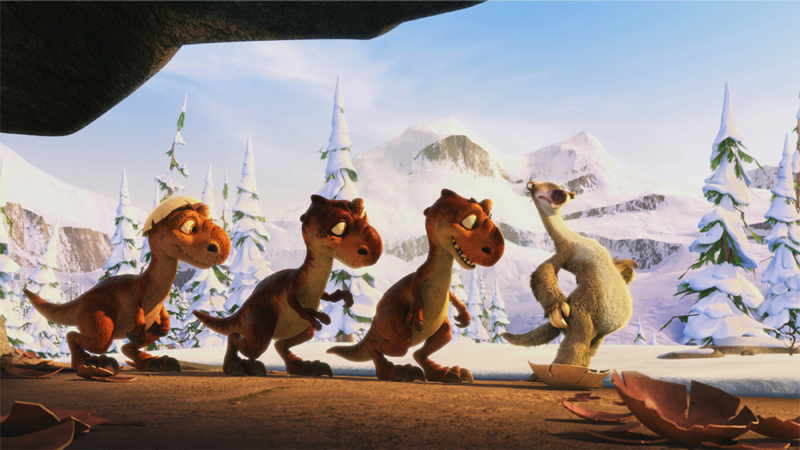 Ice Age: Dawn of the Dinosaurs is the third film in the Ice Age franchise. In this movie, Sid the Sloth gets abducted by a female Tyrannosaurus after stealing her eggs. His friends have to rescue him, and in the process, they stumble upon a lost world of dinosaurs thriving beneath the ice. Ice Age: Dawn of the Dinosaurs is the highest grossing Ice Age film. It made $886,686,817 worldwide. We have finally arrived at the highest grossing Shrek film of all time. In Shrek 2, Shrek takes a potion that makes both himself and Fiona human again. It also makes Donkey turn into a gorgeous white steed. Unfortunately, a mix up leads Fiona to believe that a man named Prince Charming is actually Shrek. Chaos ensues. This is also the Shrek film in which we meet Puss in Boots, who definitely had a lot to do with the film’s success. This movie made $919,838,758. Alright, we’ve entered the top ten. 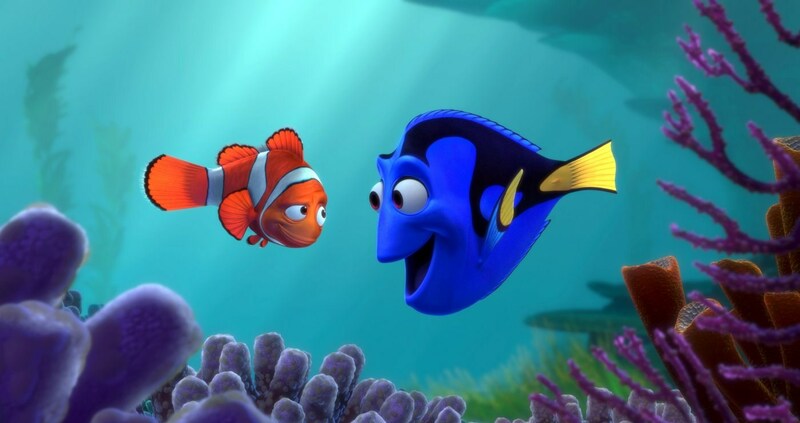 Finding Nemo is the ninth highest grossing animated movie of all time. In this film, a young clownfish named Nemo gets scooped up by a diver and his father, Marlin, goes on a quest to bring him home. Sales of clownfish skyrocketed after this film came out, which should tell you a little something about how successful it was. Finding Nemo made $940,335,536 worldwide. 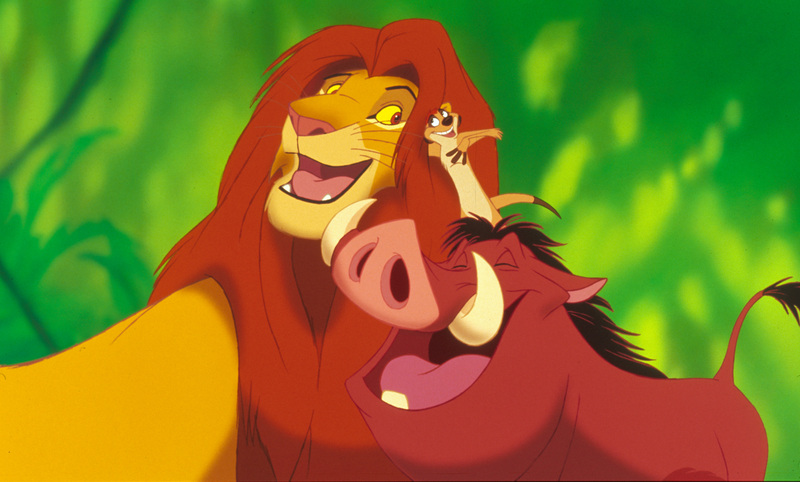 I don’t know about you, but in my humble opinion, The Lion King is the best Disney movie of all time. This movie has it all— a Shakespearean plot, Elton John songs, a farting warthog, and a touching love story. Also lions. The Lion King is one of the oldest movies on this list, which really is a testament to how well it’s held up over the years. This film grossed $968,483,777. After the success of the first Despicable Me, Universal Pictures was quick to put out part 2 of the series. This time, Gru is back, and a mysterious vehicle using a giant magnet has stolen a chemical known as PX-41 from a secret laboratory in the Arctic Circle. Of course, there are minions in this movie, but pretty soon the minions would get their own feature-length film. 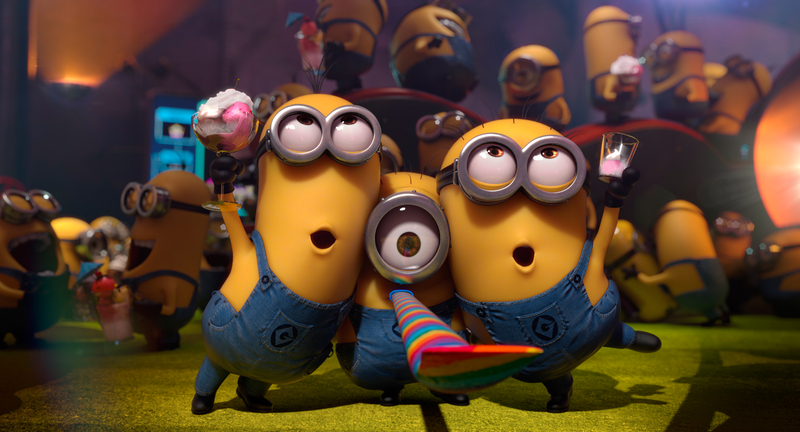 Despicable Me 2 made $970,761,885 worldwide. Keep reading to see where the MInions movie stands on this list. Zootopia is a computer-animated Disney movie that came out in 2016. It features the voices of Ginnifer Goodwin, Jason Bateman, Idris Elba, Jenny Slate, Nate Torrence, Bonnie Hunt, Don Lake, Tommy Chong, J. K. Simmons, Octavia Spencer, Alan Tudyk, and Shakira. The movie deals with the unlikely friendship between a rabbit police officer and a fox criminal. Also, it takes place in a city inhabited by anthropomorphic animals. Zootopia grossed $1,023,784,195. 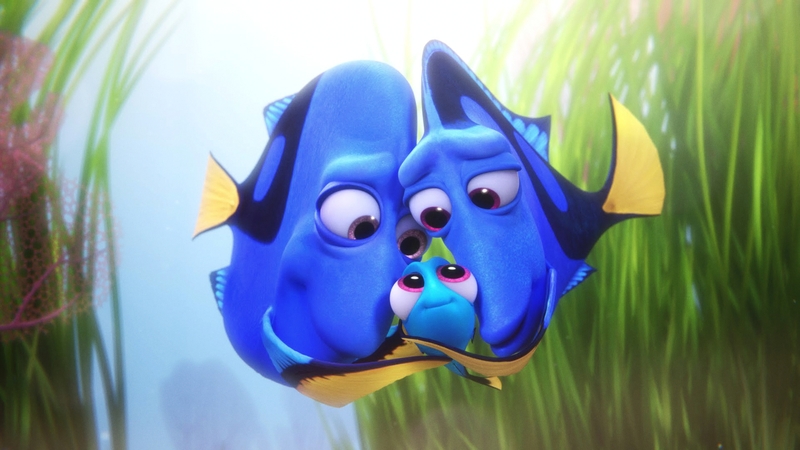 This movie did incredibly well in the box office, probably because Ellen DeGeneres, the voice of Dory, promoted it so heavily on her talk show. Finding Dory made $1,028,570,889. Have you had enough of Despicable Me yet? 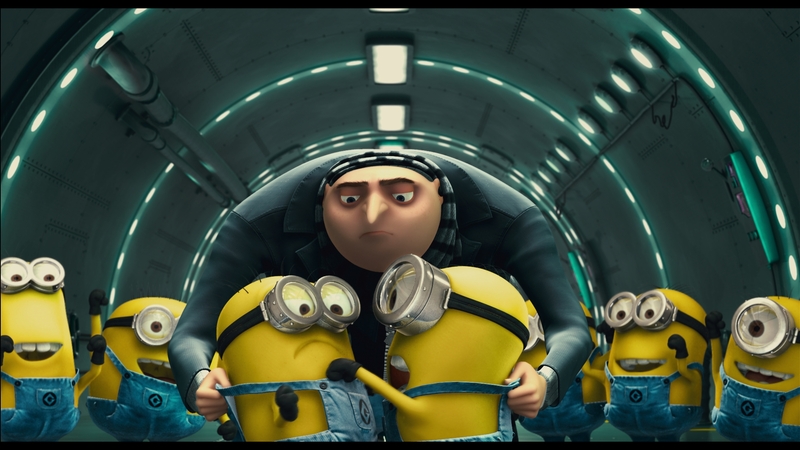 In this film, released in 2017, Gru teams up with his long-lost twin brother Dru. They work together to defeat Balthazar Bratt, a former child actor who got upset when his show got canceled after he hit puberty. Naturally, he turned into a supervillain. Despicable Me 3 made $1,034,799,409 worldwide, but how much of that was because of Gru and how much of it was because of the minions? 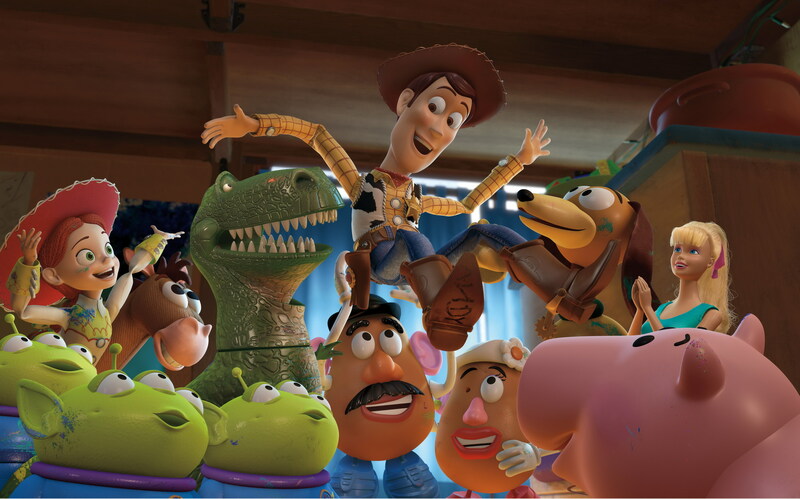 Toy Story 3 is the highest grossing Toy Story film released to date. We’ll have to see how the numbers for Toy Story 4 compare when that film is released in June of 2019. In Toy Story 3, Woody and his friends accidentally get donated to a daycare center. They do everything in their power to get back to Andy. This movie had us all in tears, even those of us who are too old to be playing with toys. Toy Story 3 grossed $1,066,969,703. Finally, the minions get their own movie. Minions came out in 2015 and they haven’t really gone away since. The film stars the voices of Pierre Coffin (as the Minions, including Kevin, Stuart, and Bob), Sandra Bullock, Jon Hamm, Michael Keaton, Allison Janney, Steve Coogan, and Jennifer Saunders. People went absolutely crazy for this movie, and for anything and everything minion related. 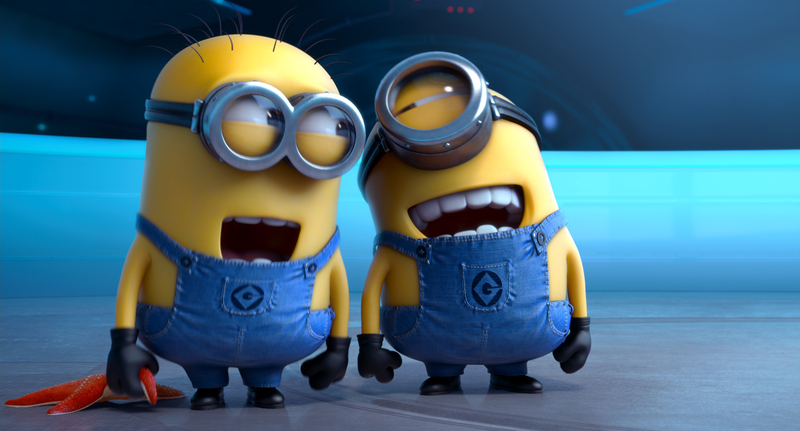 Minions made $1,159,398,397 at the box office. Incredibles 2 was definitely worth the wait. This animated sequel came out 14 years after the first Incredibles movie. In this film, we get to see the full extent of Jack Jack’s powers, and, of course, Edna Mode is back. I think most of us were just excited to see Edna Mode again. Incredibles 2 grossed $1,242,805,359. People of all ages went to see this movie, and I think it’s safe to say that they weren’t disappointed. Here it is, the moment we’ve all been waiting for. Frozen is the highest grossing animated movie of all time. I know you all saw it coming. You were probably waiting for it while you were scrolling through all of the other entries on this list. This story about sisterhood, heroism, and it grossed $1,290,000,000 at the box office. I wonder if another animated movie is going to come along and break that record? We’ll just have to wait and see.